Restaurant information: The Village Cucina Italian Restaurant is one of the best restaurants in Sanur. A trend Italian restaurant with a traditional wood fired pizza oven. The Village Cucina serves a great range of Italian food. With an impressive temperature control wine cellar with a fantastic range of wines from Italy and Australia. Great service with either airconditioned dining inside or outside in the front of the restaurant. 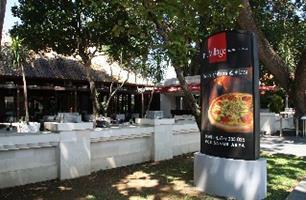 Have you dined at the Village Cucina Italian Restaurant Sanur Bali?